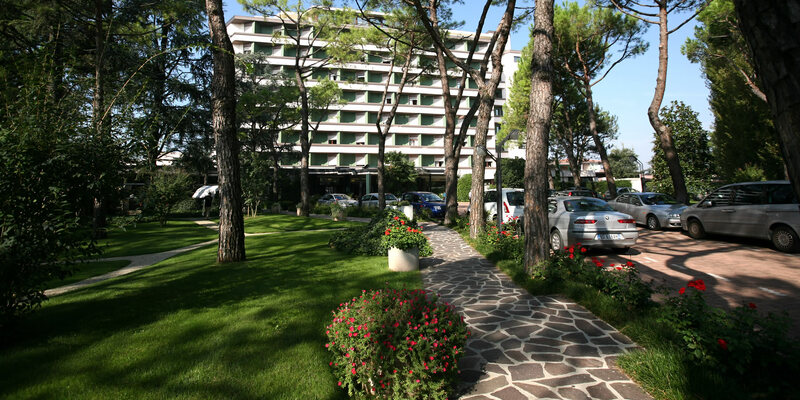 ● A guarantee of direct management by the owners, a family of hotel keepers since 1906. ● Competence and professionalism of 70 collaborators, with quality certification by ISO 9001-2015. ● Because of the use of mature mud which follows the regional disciplinary of FANGO D.O.C.® and is based on the exclusive certificate FEEE® (Fango Eutrofico Eudermico Euganeo). ● Health Passport® – an exclusive regeneration program. 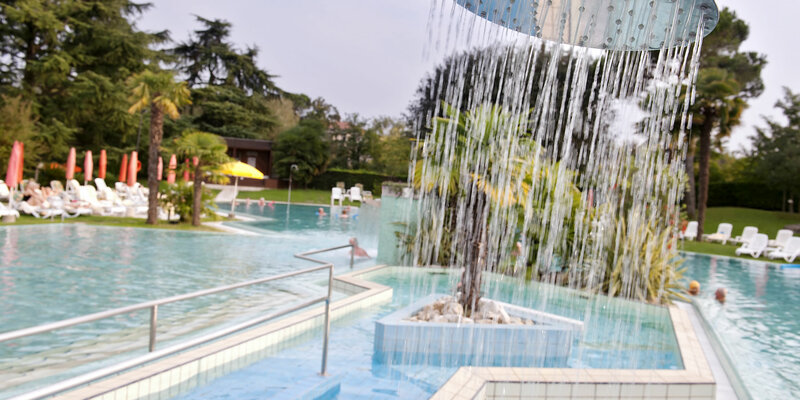 ● 3 thermal pools with 1200 sqm of water surface with underwater music, whirlpools and aromatherapy showers. ● Well-being packages which include inviting price reductions. ● Technological MEMON® innovations in the Hotel Garden Terme mean well-being for our Guests, reduced stress, comfort and environmental safety. 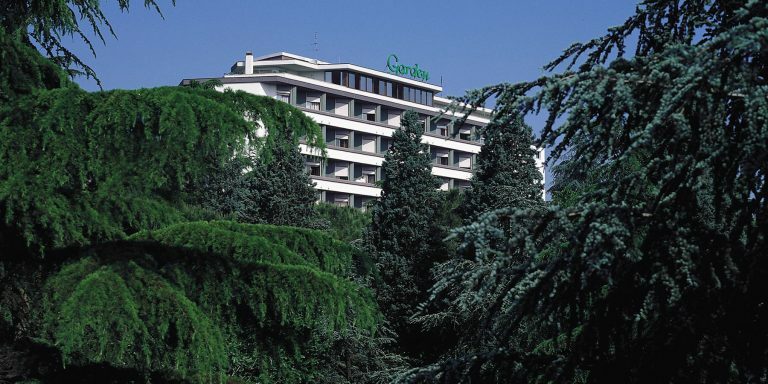 The air in the Hotel Garden Terme becomes fresher and the water purer and more natural. ● Access to wireless and wired Internet in all bedrooms and suites. 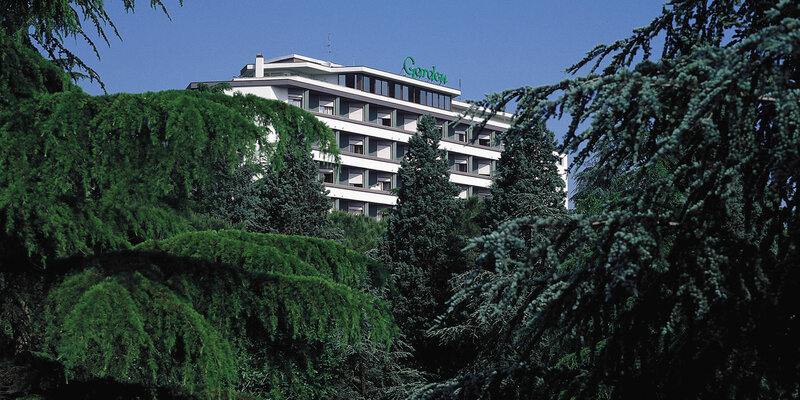 ● Gluten-free menu: Hotel Garden Terme is one of the few thermal hotels following a specific protocol. ● A guarantee of cleanliness with the hygiene system Sanipill® for all the pillows in our rooms. ● As part of our development towards a “Green Hotel”, in addition to the osmosis system filtering thermal water for better watering the garden, in our house you will find a battery-charging station for electric cars. 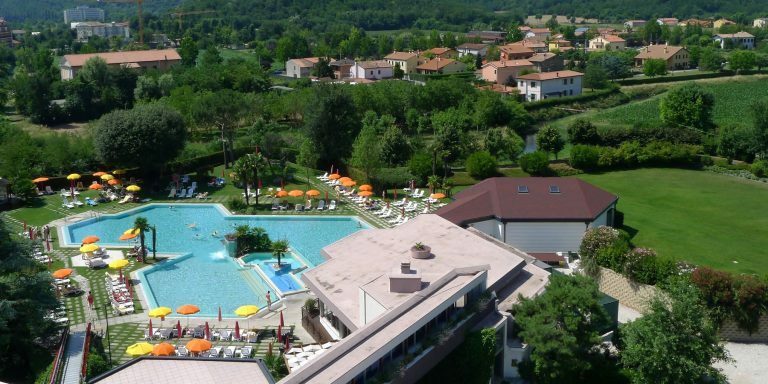 ● During the Ferragosto-Assumption period a rich entertainment program for kids, daily aquatic activities, and amusing evening shows are included. ● Loyalty discount: for 2 stays in the same season, each one of at least 7 days / 6 overnights on half board or full board, a travel expense reimbursement of € 70,00 per person for the second stay. ● Arena of Verona Festival (21.06 – 07.09.2019): experience with us the joy of the Verona Festival in the wonderful Roman Arena. We will be glad to take care of your booking as well as of your transfer. On a minimum stay of ten days, your transfer by bus** will be without extra charge and we will expect you with a refreshment on your return to the hotel. ● Family Special: throughout the month of July, 2 children up to the age of 12 will stay free of charge (in the same room with 2 adults on full board or half board). * Special offers and reductions are not cumulative. ** Bus transfer only on certain days. *** For the booking conditions see page “Golf and Wellbeing”.